The plants on this page are used for an accent in the landscape. They all have features such as colour, form or flower that make them suitable as a highlight in the landscape. 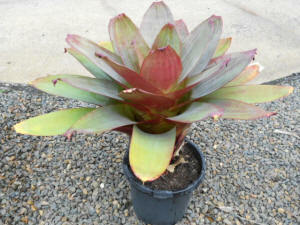 This is one o f the best accent plants for use in South East Queensland gardens. 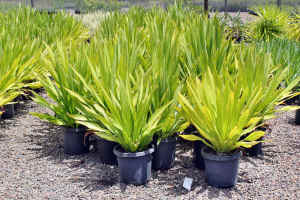 It will grow in full sun or semi shade and can be used as a pot specimen or in a tropical garden. They will get 1.2m across and are hardy in very dry areas. They have few pests and require minimal maintenance. 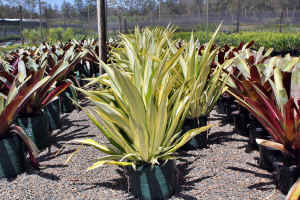 A brilliant high accent plant for sun or shade - these are one of the toughest plants around and are well suited for use in tropical and accent gardens. 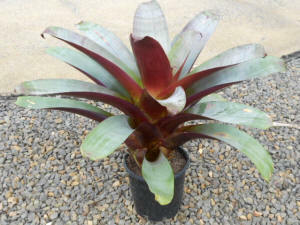 This is another hardy Bromeliad that can be grown in light shade. In light shade the very dark red colour of the foliage becomes apparent. 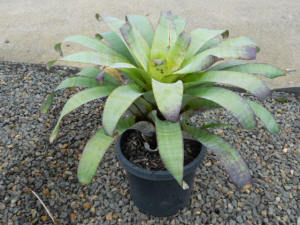 This is one of the hardiest landscaping bromeliads available. It forms a low cover to about 300mm and will happily divide, spread and fill and area. 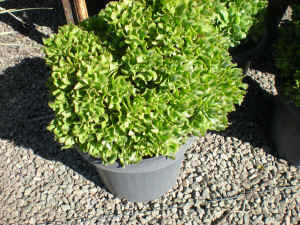 They are very hardy and will grow in full sun or semi shade. The matchstick flowers cover the plant in early spring with pink, mauve and finally red flowers. 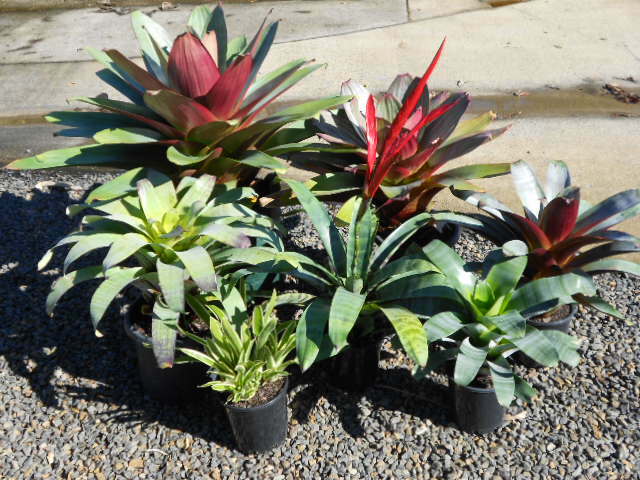 The textured foliage of this hardy bromeliad are a feature of this plant but the stunning red flowers are an added bonus. 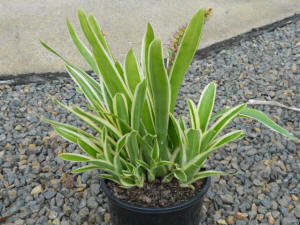 This is a very hardy Crassula that will grow in sun and shade. 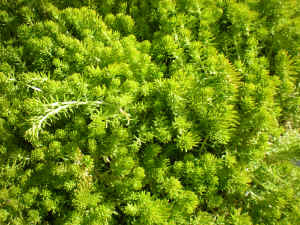 It prefers dry conditions and it will grow to about 1m in height based on our knowledge of the plant over three years. Suits pot culture as well as landscape planting. 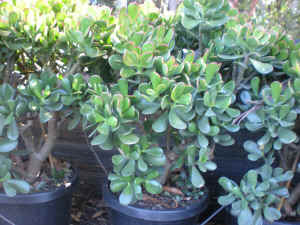 A slow growing Crassula that resembles a aft bodied miniature tree. It will grow in sun or shade prefers dry conditions. In full sun can show gold coloration on the leaf in shade a slight red edge to the leaf. 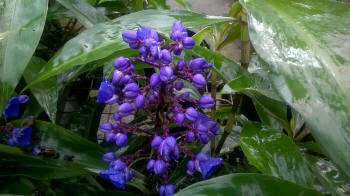 Blue ginger has one of the most vibrant flowers that can be found in a tropical garden. 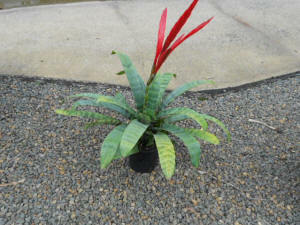 The large dark green leaves and upright stems of open foliage makes this suitable for planting with other tropical foliage such as Heliconia and bromeliads. During the coldest months of winter it dies down to a corm leaving wintered stems that rebound with renewed vigor in spring. 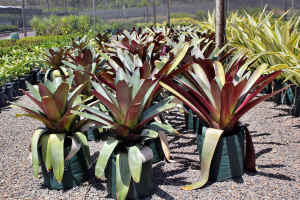 Doryanthes or Gymea lily are a well regarded landscape species both prefer full sun and well drained soil. 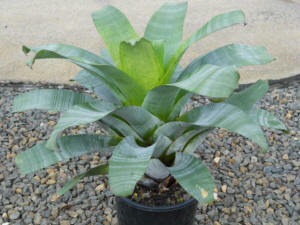 D. palmerii has a softer foliage , is faster growing and grows larger than D. excelsia. Both have large flower spikes with heads of large red flowers, excelsia has very upright flower spikes where as palmerii tends to lean to one side. This is a plant for big bold statements, not for small gardens! They will grow to 3-4m across and where they can be given the space they are stunning. The prefer well drained, full sun positions but will tolerate a range of conditions. 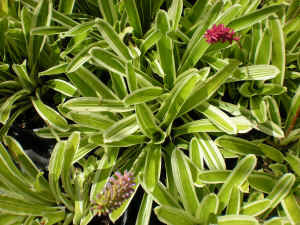 They are quite fast growing and, given the room, are an excellent choice in larger gardens and developments. 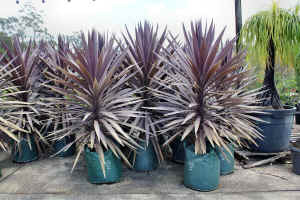 Yucca desmettiana is a smaller growing strap leafed plant with mauve highlights that tends to multi stem as it ages. It is very hardy in full sun dry positions.